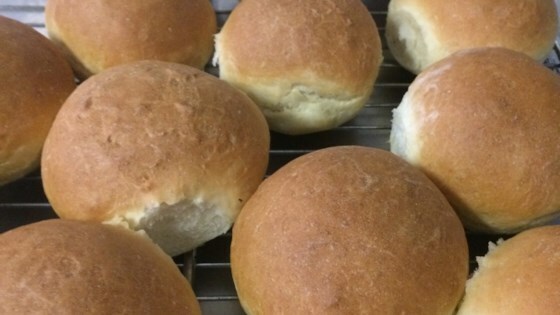 "Easy to make French bread rolls. Dough can be made in mixer, bread maker, or by hand. Loaves or rolls can be brushed before baking with a glaze of 1 beaten egg white mixed with 1 tablespoon water if desired." I followed the recipe exactly, except I used my bread machine to do all the work. They turned out excellent & will be made often at our house! A good, basic roll, but not exactly "to die for." I reduced the sugar by 1 T. and used olive oil instead of the vegetable oil.